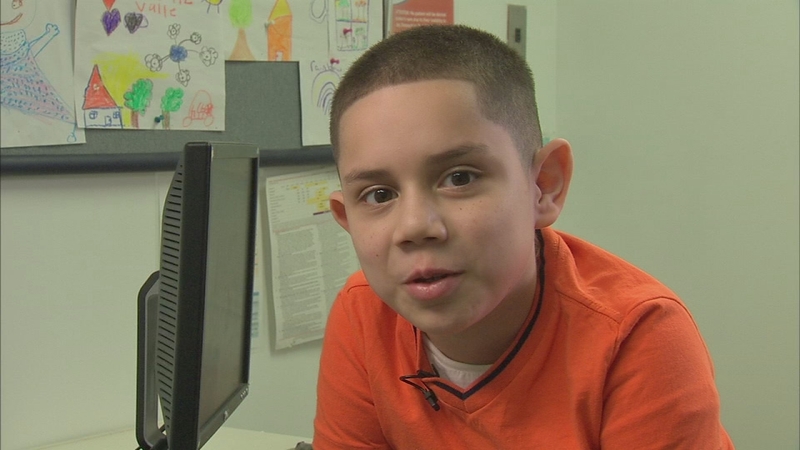 Amy Freeze reports on what parents can do, and the transformation of a boy in the Bronx. NEW YORK -- Recent studies say most parents do not realize that their child is overweight, which could be contributing to the epidemic of unhealthy children. Pediatrician Vanessa Salcedo works in a clinic in the Bronx where she says the rate of childhood obesity is high. But why? "A lot of the excess weight is caused by unhealthy lifestyle, eating fast food, drink soda and juice," she said. "And so lifetstyle is causing the childhood obesity epidemic, especially in places in the Bronx, where it's difficult to find healthy fruits and vegetables and safe parks." A recent study of 3,000 said only one in 400 parents could correctly assess their child as overweight. Stating "society as a whole has become so fat, we have collectively lost our sense of a healthy weight." Additionally, many parents think that their chubby kids will just grow out of it. Less than a year ago, 7-year-old David Chavarriaamaya came to see Dr. Salcedo. "David used to be the in obese category," she said. Using BMI charts that calculate height and weight per age, David started with an overweight rating, which is anything above 25. "It's the health consequences as obese kids come to be obese adults," Dr. Salcedo said. "With diabetes, heart issues, hypertension." Dr. Salcedo says simple changes can transform children, improving their health. "Drink more water, less soda," she said. "Increase physical activity and decrease screen time." The best way to get an answers about your child's weight is to specifically ask your doctor to check the BMI charts.